The story of Antonio Meucci could well be depicted on the stage. His beginnings as a theatre technician in Florence, Italy and, later, as an engineer at the Tacón Theatre in Havana, Cuba gave no hint of the dramatic turn his life would take when he arrived in the United States. There he developed an invention that would go down in history, the telephone, but economic problems and his difficulty in communicating in English prevented him from being recognized as its inventor, credit for which was attributed to Alexander Graham Bell who was granted a controversial patent. Meucci died on October 18, 1889, poor and embittered, without ever having succeeded in getting the US courts to agree with him. More than a century later, the US House of Representatives finally recognized his legacy. At the Pergola Theatre in Florence, the young Antonio Meucci (April 13, 1808, Florence) was able to put into practice his knowledge of engineering, working as a stage technician, and it was there that he met the love of his life, the costume designer Ester Mochi. On the Florentine stage, Meucci was already beginning to show his inventive side and devised a kind of acoustic telephone to communicate between the stage the control room, similar to those that were used in ships to speak between the different rooms. But his participation in political movements would land him in prison for a few months and upon his release he decided to emigrate to Cuba with Ester, who was now his wife. There the couple was embraced by the Tacón Theatre in Havana, where Meucci worked as chief engineer and his wife, as costume director. These were happy years in which the inventor gave free rein to his imagination and came up with new devices, among them a water purification system. He even explored electromedicine, using electrical impulses to treat the pain experienced by a man suffering from migraines by placing a small electrode over his mouth. And in 1849 he designed the first prototype of a telephone, the device that would be his great obsession. After fifteen years in Havana, the couple emigrated to the United States in 1850 and settled on Staten Island (New York). With his savings from his time in Cuba, Meucci opened a candle factory, where he employed compatriots like Giuseppe Garibaldi, the hero of the Italian liberation. At that time, Ester began to have health problems and was diagnosed with rheumatoid arthritis, a chronic disease that confined her to her room. 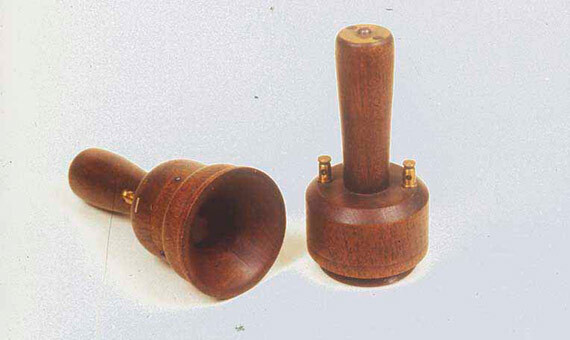 To communicate with her from his laboratory—located on the ground floor of the house—Meucci devised the telettrofono, a type of electromagnetic telephone, in 1856. From there, he designed dozens of new electromagnetic models in which speech was transmitted over vibrating electric currents. To increase the resonance, the paper cones used in the earliest versions were replaced by tin cylinders, which used thin membranes fixed in copper. To prove that his devices worked, and because of the difficulties he had in being understood in New York, he began looking for financing in Italy, but never obtained it. The candle factory ended up going bankrupt and, after several legal battles with tax collectors, the Meucci house—today the Garibaldi-Meucci Museum—was auctioned off. The new owner allowed them to remain there, but it was a hard blow to the couple. The worst was yet to come. In July 1871, an explosion on the ferry on which the inventor used to travel left him with serious burns. To pay for his medical expenses, Ester sold the designs and models of the telettrofono to a pawnshop, but when Meucci went to retrieve them they had already been resold. The engineer then formed a partnership with three other Italians and created the Telettrofono Company. His partners warned him of the danger of not protecting his invention with a patent, but since he did not have the $250 needed to pay for it, Meucci could only afford something preliminary—a temporary legal notice called a patent caveat, which cost twenty dollars—which had to be renewed every year and that only gave a brief description of his telephone. In 2002, the US House of Representatives recognized the work of Meucci in the invention of the telephone. . Credit: María Teresa Toledo. The departure from the United States of two of his partners caused the company to dissolve, and Meucci, eager to show the world the benefits of the telephone, asked the vice president of the Western Union Telegraph Company to test his invention on the company’s telegraph lines, giving him a description of the prototype and a copy of the patent caveat. After two years wondering when they would test his model, the company finally responded that they had lost all his documents. In 1874, due to a lack of money, Meucci could not renew the patent caveat protecting his invention, and two years later he learned that Alexander Graham Bell, a worker from the laboratories of Western Union, had received the patent for the telephone. The litigation brought by the Italian engineer was to no avail. All his claims were contested by the company’s lawyers, who, in turn, brought him to trial for fraud. Meucci died in 1889 without justice having been served. 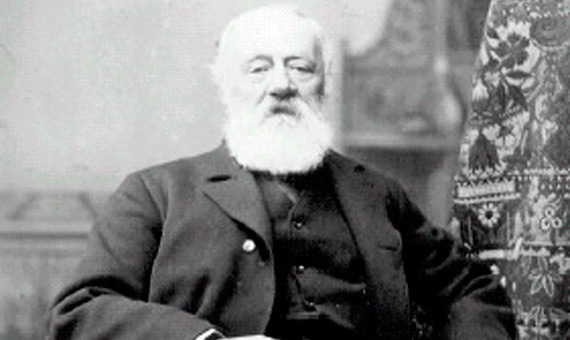 In 2002, the US House of Representatives published a resolution stating, “that the life and the achievements of Antonio Meucci should be recognized, and his work in the invention of the telephone should be acknowledged.” This recognition came too late for Meucci, but in time for him to take his place in history among the great inventors. 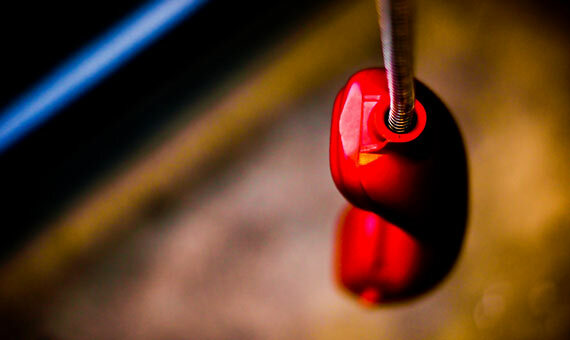 The Telephone War: Was it Graham Bell’s Invention?